Immaculate Ferry St condo just walking distance to Oakway & Autzen stadium. 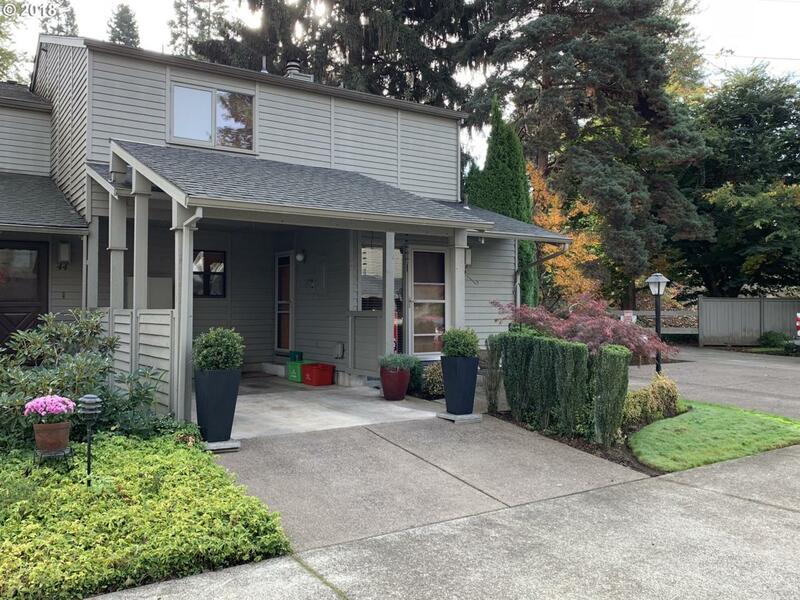 Open floor plan w/ plenty of light, this extensively remodeled townhouse features granite counters, hickory cabinets, wood burning FP, huge master suite w/ walk-in closet, newer paint, forced air system, heat pump, water heater and more! Rare end unit w/ carport, addition dedicated parking space & enclosed back common area. Enjoy no maintenance living! Turn key!